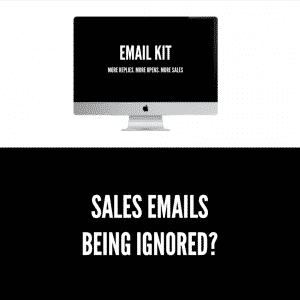 There are 4 core benefits from a Clear Sales Message; above all else, a well prepared and thought through sales message provides the confidence to deliver the sales message and tackle any questions in an engaging way. 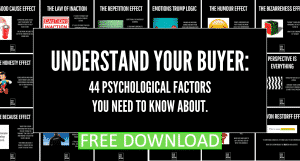 If your clients are more likely to understand what you do and engage with it, they are more likely to buy. The confidence to present your products and services. 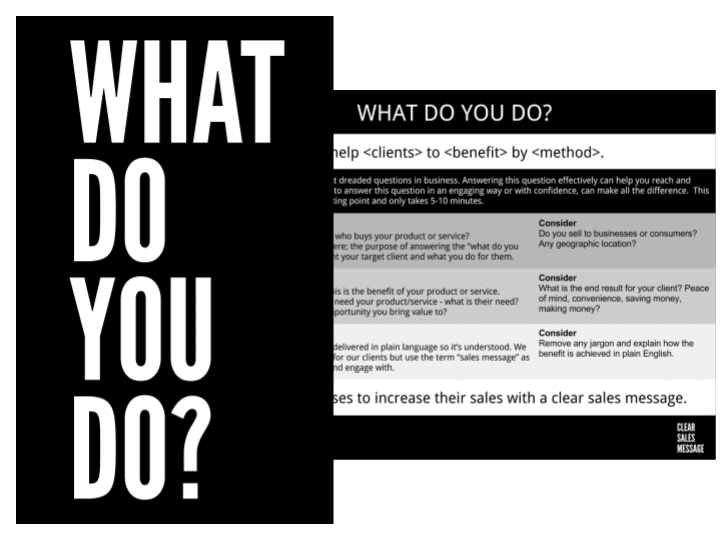 Never again will you fear the “what do you do?” question. You will spend less time talking to potential clients who are not a good fit for your products and services. You will find more appropriate clients when you are able to clearly communicate your offering. You will convert more potential clients as they will appreciate you talking about their needs in terms they understand. 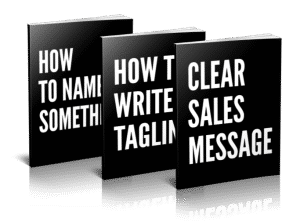 Find out more about how to create a Clear Sales Message or buy the book.